The Clubhouse was constructed in 1975. It houses two fieldstone fireplaces, the Adult Lounge, the Country Store, the Upper and Lower Craft Rooms, and Pool Showers. Located in the center of "The Commons," the Clubhouse is only a few steps away from many of Pathfinder Village's other amenities like the swimming pool, the Great Hall, Mini-Golf, Driving Range, tennis courts, basketball courts and much more. Constructed beginning in 1981, the Great Hall is where many of the summer's recreation activities take place. Also located in the center of "The Commons," across from the Clubhouse, the Great Hall is close to many of Pathfinder's other amenities. The Country Store is where you can pick up any of those last minute grocery items that you may have forgotten, purchase a souvenir or a gift. There is also a variety of tasty treats to eat from the snack bar including: hot dogs, pizza, ice cream, slushies, pop, and nachos to name a few. The game room has different video games plus pool tables for your entertainment. The Park Office is located at the front entrance next to the gates. Here guests register to visit owners or check-in to stay at one of the guest sites. The Park Office has a variety of goods and services which can be purchased. See the 2019 Price List for a full list of good and services offered. Owners can make guest site reservations by calling the Park Office at (320) 384-7985. Situated next door to the Park Office is the Sales Office. Potential owners can take a tour with a member of the sales team to see lots available for sale plus the amenities and facilities Pathfinder Village has to offer. The Sales Office has limited office hours, so please call (320) 384-7629 in advance to make an appointment. 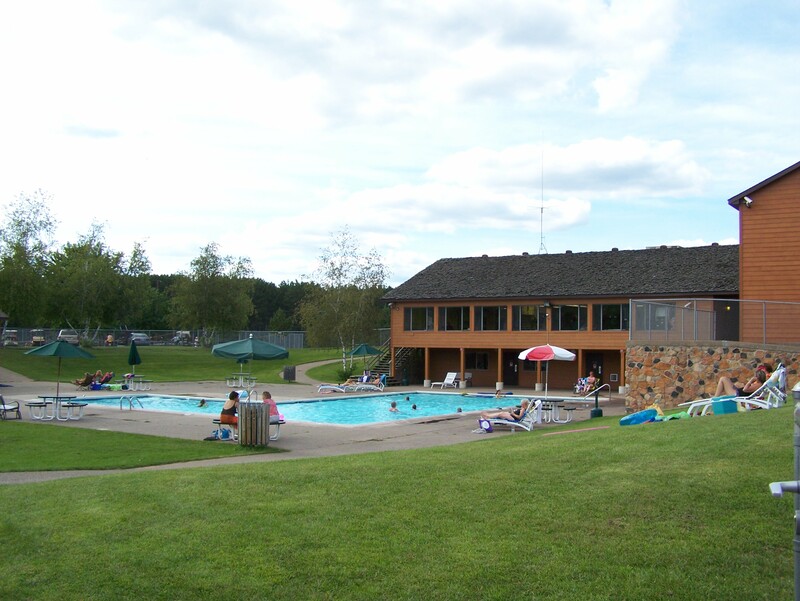 Open from Memorial Weekend through Labor Day weekend, Pathfinder Village has an olympic sized swimming pool as well as a small wading pool. Pathfinder Village offers a nine hole executive par 31 golf course, which will test your golfing skills. 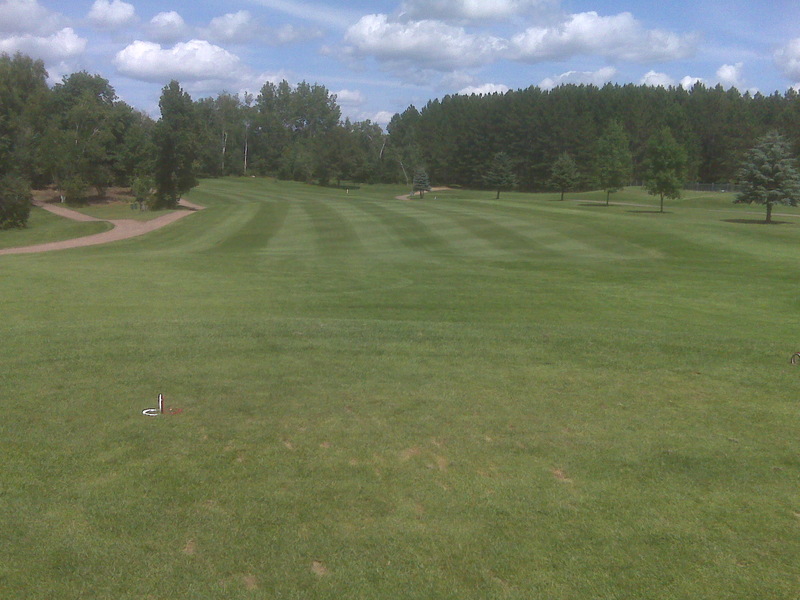 Greens fees can be paid at the Golf Clubhouse where you can also enjoy a snack or soda after your round of golf. The Mini-Golf course is a 18 hole course is fun for all ages! Available through the Country Store weekdays and the Mini-Golf Caddyshack on weekends. Hit a bucket of golf balls on the Driving Range which is available weekends through the Mini-Golf Caddyshack. The Laundromat is located in front of the Depot shower house. The laundromat is open 24 hours a day, seven days a week.